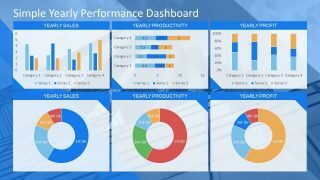 Blue Dashboard Template for PowerPoint is a presentation design containing a nice blue dashboard slide that you can use to present dashboards and business performance data to an audience using Microsoft PowerPoint. 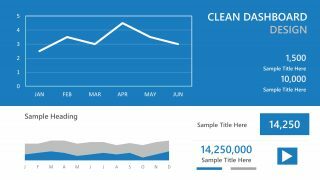 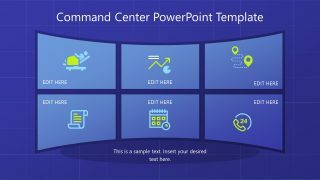 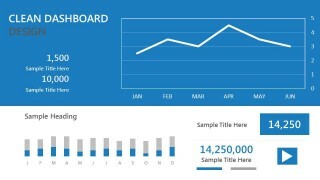 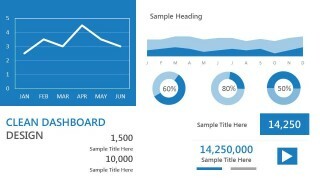 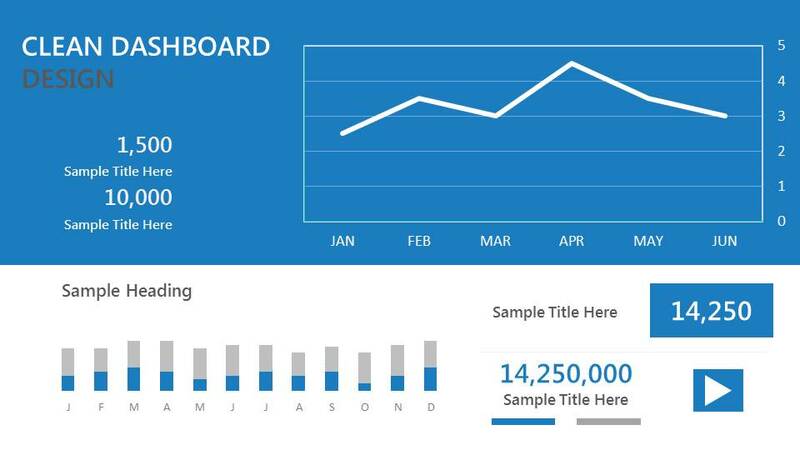 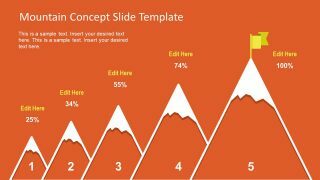 Inside this blue dashboard PowerPoint template you can find four slide designs with a clean dashboard style containing different components where you can place dashboard gauges, data-driven charts in PowerPoint (bar chart, pie chart, area chart, etc.) 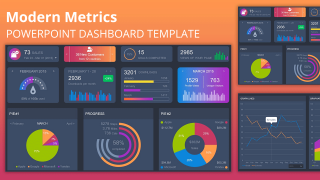 as well as other dashboard elements like KPI or indicators.